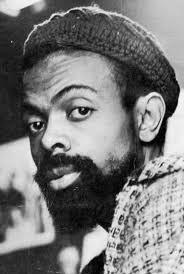 Amiri Baraka, Polarizing Poet and Playwright, Dies at 79. Margalit Fox, L.A. Times. I’ve loved some of what I’ve read by him (mostly some chapters in Black Music, which I purchased a reprint of several years ago), but don’t know his work well enough to say a lot right now. Interested in reading more of his work, and I hope his music criticism specifically is delved into more in the days ahead (it seems to be receiving scant notice in the few obits I’ve perused). His story is told well in a different book I’ve recommended in the past (one of the best books I’ve ever read about criticism, in fact), John Gennari’s, Blowin’ Hot and Cool: Jazz and its Critics. Thanks for the Meltzer! Hadn’t seen that, but always thought he might be an inspiration, certainly a forerunner, for all the Noise Boys, def incl. Bangs, considering the polemic response to his close listening and descriptions: “Here’s the music, the way it is on records and live, frequently in conflict with club owners and ‘critics'” with the implied, “What do *you* hear? And where do you go?” Bringing everything he had, including his poetics, into focus on what music and the times were becoming (Bangs said he didn’t understand poetry, but pretty sure he understood Blues People and Black Music). I didn’t know his other writing then, but did sometimes suspect he was using his stance as critic to settle other scores; becoming, as Frank Kogan later said, “a man positively addicted to Us vs. Them.” Little did we know—-but no matter how often he went off into brainskronk (the 9/11 speech being only the most notoriously vile example), his drive as an artist did manage to fight its way back into bursts of clarity, some of them compelling, all of them cage-rattling, once in a while. Something in him always wanted to free the music, but never making it look easy. No free naked lunch, mofos. Read Blues People and Black Music, people! Dog nose,”brainskronk” can be as compelling as music skronk, though not necessarily in a good way; also, can have its own clarity of expression, coming out of scrambled thought processes all too clearly. Let’s contrast all that with bursts of *lucidity*, then—like sanity or somethin.